Jungle Theatre Company (JTC) was established as an NPO in 2004 aiming to inspire and empower disadvantaged children & youth to make positive changes in their lives and build a peaceful and vibrant South Africa. JTC’s professional artistic team draws on South Africa’s diverse cultural heritage and indigenous languages to find connections to the environment and human nature, creating and performing original African children’s theatre shows that bring together music, dance, masks, puppets, clowning and storytelling. These performances raise awareness, inspire learning and motivate children and youth to participate in workshops and performing arts training resulting in; developing life skills; building self-confidence and creating opportunities. We partner with educational, social, environmental, health and arts organizations to offer our work to diverse communities in South Africa and beyond. We bring this work to underprivileged communities with financial support from government, private trusts, foundations and individuals. Our mission is to create African original children’s theatre inspiring, empowering and connecting young people’s hearts to care for nature, community and culture. We are an established NPO with more than 20 years’ experience. Our artistic team is skilled in creating, performing and facilitating theatre for children and families. Drawing on our diverse cultural heritage we find connections to our environment and human nature making theatre that brings together music, dance, masks, puppets, clowning and multi lingual storytelling. We make proudly South African theatre that speaks to our present experience; can powerfully inhabit non theatre spaces; is accessible to a broad audience and generates exciting future possibilities. Our management team supports the organisation in terms of compliance; project management; marketing; impact assessment; finances & fundraising. We are based in Muizenberg, Cape Town and tour to all over South Africa and beyond. After our performances the children are excited and energetic. Their imaginations are alive and their bodies are keen to move. They want to express themselves. These children tend to participate more fully in workshops that give them an opportunity to stay in the imaginary world of the story. In these workshops, which are approximately 45 minutes to an hour in duration with one class, the children get to re-tell the story they have experienced in their own words and in their mother tongue with plenty of creative license. They become some of the characters; dance the dance and sing the song. The post show workshops are an effective way for children to be introduced to performing arts skills within the context of play. The themes and content of the productions are expanded on and the learning is deepened through the vocal and physical expression of the children. Teachers are also welcomed to participate in or watch the workshop and learn a trick or two that they may use in the class room going forward. Jungle Theatre Company has developed training programmes for children, youth and adults. 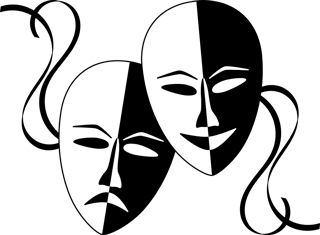 For children we offer on-going drama clubs that follow the school term. These clubs get children making theatre based on African folktales that expresses their current experience. Our youth training is based on a manual called “Creating theatre with children” and is a 24hour course. The group learn to create and perform a production with children. Our capacity building and job creation training prepares young adults to work as professionals in the performing arts. This is a two-year training that involves skills development, theatre making and on the job experience.